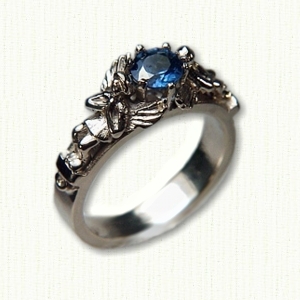 Description: #RR02301 The 'Angel' is an intricate mounting adorned with 2 angels. 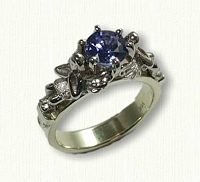 The ring mounting comes in single or two tone - please specify when ordering - and will accommodate most any ROUND stone. Available in 14kt, 18kt, two tone and platinum ( pricing ). 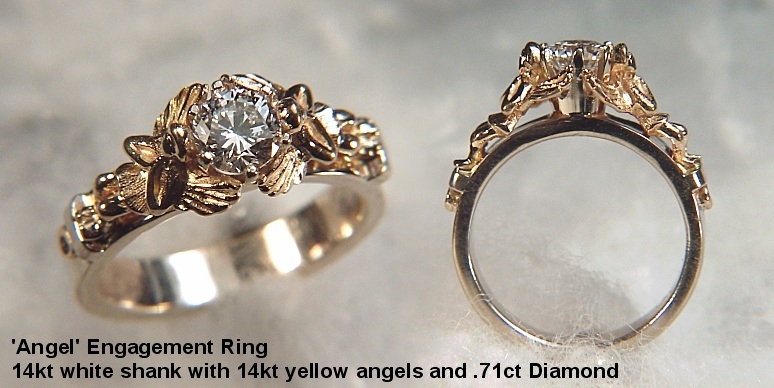 The Angel engagement ring mounting can be customized to your needs. We can design it in platinum, white gold or even yellow gold. 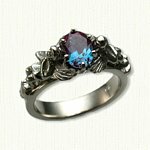 You can even choose the stone you want to make your engagement truly unique! 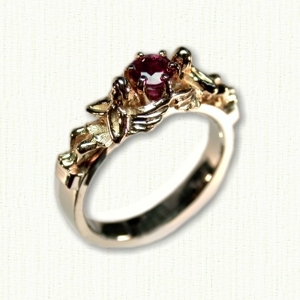 We recommend diamond, ruby & sapphire because of their durability, but we can accomodate most any size & color stone.